The theme for this Tarot Blog Hop is Tarot and finance. Oh, that dirty, filthy evil lucre. The wrangler of this Tarot Blog Hop asked some questions to give us inspiration for this post. "Have you done your taxes yet?" Oh hell no, that is next weekend that the accountant comes over to help me and my wife fill out those dreaded tax forms. "How do you use the Tarot in relation to matters financial?" I use it as a thinking tool and model (because I am guilty of applying this model to everything). "Do you make a living from it?" No, not yet. But someday, I do plan on making Tarot an income path for myself (along with all the other projects that I am working on). "Do you sometimes have a sneaky peek to help you pick lottery numbers or have a flutter on the gee-gees (and have you had any luck)?" I gave up playing the lottery years and years ago. Now, if we are talking about the Writer's Lottery (where one is gambling that one's writing is going to make a buck or two), then why yes, I have used the Tarot to peek at the future success of some of my projects. "Do you take the risky path of advising others on financial matters or is a no-go area?" Yes, I have done Tarot reading for people that involve finances: typically, job related questions. And yes, I have charged for these readings...though one must note that on occasion, I have been paid with chickens, cheese, and peanut butter. Just some ideas that I have for a Tarot deck, or two. One of the things that I have learned reading the Tarot cards is that the deck (no matter which one you use) becomes all about the subject of the question. Sure, there are those nasty shot-gun readings, where the cards ignore the question and pepper answers about all areas of a person's life, but often that is because the person's life in one big ball of wax and manure where everything needs fixing and one's issues in another areas of life is wrecking one's ability to make money. 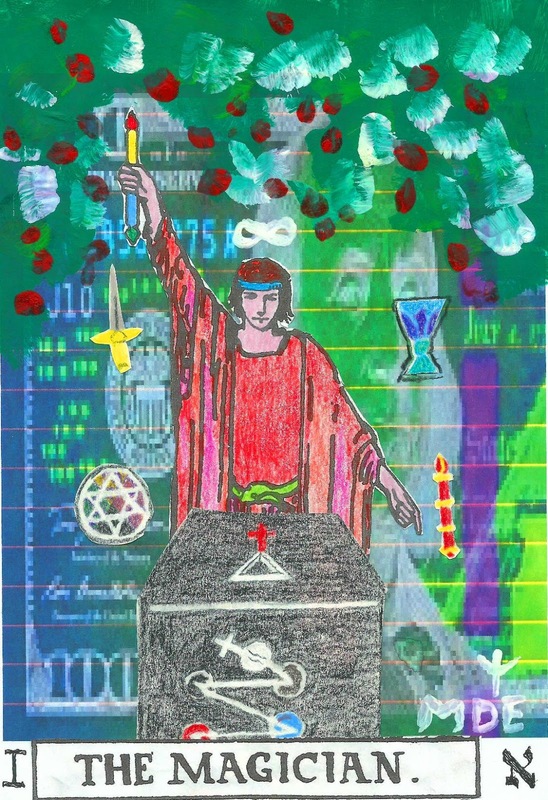 A project that I have kicked around doing is a Monetary Tarot deck, a deck where every card is focused on money and finances. And some of those ideas have made their way into previous Tarot Blog Hop posts. 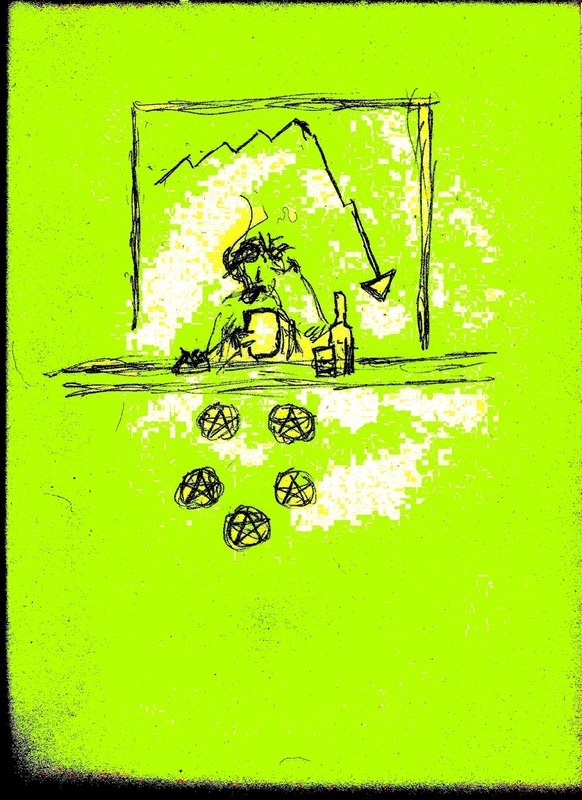 For instance, this version of the five of pentacles from a previous Hop. One of the reasons that I would like to have a Monetary Tarot in my collection is it would help with cold reading. One of the cold reading techniques I learned is that the client's choice of Tarot deck tends to be related to the question they are asking. I have a Tarot deck with lots of lace and pink in it, and I know that if a client picks that deck, the question is all about relationships and love. I figure a Monetary Tarot would work the same way; if a client picks it, then the question has to be all about money. Kicking around possible art ideas for such a deck, I have highly considered using money as the background of the cards. 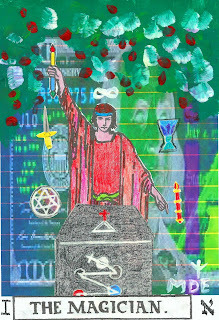 The Magician card of this particular post is an example--though I think I am going to re-do it and make the bill yellow instead (for contrast purposes); or maybe find an actual piece of paper money that is yellow for the background (though using Ol' Ben for the Magician card has some appeal to me as a historian). And certain types of money would be better for certain cards than for others---I am thinking of using Chinese Heaven Money for the Hierophant, and Chinese Hell Money for the Devil card. And for the suit of Pentacles, use actual coins to stand in for the pentacles. Of course, for me, the question would be "Has someone else done this already? And is there an actual market (or need) for a Monetary Tarot deck?" Because I suspect that I would have to drop some monetary resources into completeing such a deck. 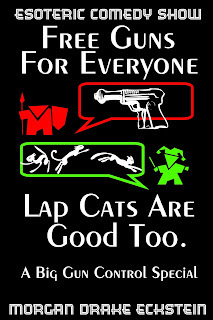 Then again, occasionally, I do the art just because I want to. In my fantasy world, someday I complete one of my silly Tarot decks and people actually buy them in sufficient numbers that I can smile at my wife, and be able to honestly say that I am making money as a Tarot artist. Yes, I am hoping to find money in them there cards. I think that you speak for many of us !! We all hope that eventually there will be some money in the cards.....but then if there isn't ...we love Tarot anyway. Great idea making a monetary tarot deck!